Corruption has always existed. In Deuteronomy 16:19 the Bible says, “You must not accept bribes, for a bribe blinds the eyes of the wise and subverts the cause of those who are in the right.” Corruption’s insidious effects have grown to alarming dimensions, however, in the twenty-first century. Grand corruption—the use of state power by the power-holders to appropriate to themselves and their friends resources on a very large scale—affects the politics of countries where it exists by encouraging dictatorship: those in power have a strong incentive to stay there indefinitely so as to keep stealing while using part of what they steal to bribe and repress those they govern in order to retain their power. Grand corruption also distorts the economies of the countries that suffer from it, by directing capital away from productive channels to the bank accounts of corrupt elites and by making the distribution of wealth more unequal than it would otherwise be. In its political and economic consequences, in fact, large-scale corruption has the same effects as communism, which, in the last century, fostered repressive governments and sub-optimal economic performances where communists gained power. Moreover, twenty-first-century corruption resembles twentieth-century communism in yet another important way: as a cause of international conflict. Just as the aggressive global communist movement, spearheaded by the Soviet Union, posed the chief threat to world peace from the end of World War II to the end of the Cold War, so grand corruption lies at the heart of the greatest challenge to global peace and stability today. It follows that fighting such corruption is a way of making the world a more peaceful place. Today’s challenge comes from the aspirations of three major countries to dominate their home regions and their willingness to use force to do so. In Europe, Russia has seized Crimea and invaded and occupied eastern Ukraine. In East Asia, China has claimed ownership of most of the western Pacific and built artificial islands there on which it has constructed military installations. In the Middle East, Iran has created armed forces that act on its behalf in Lebanon, Iraq, Syria, and Yemen. The aggressive foreign policies of all three threaten their neighbors, and therefore the international interests of the United States. These aggressive policies have several causes in each case but one particular motive in common: regime protection. Vladimir Putin’s government in Russia, the rule of the Communist Party led by Xi Jinping in China, and the clerical autocrats of the Islamic Republic of Iran all lead dictatorships that operate in what remains, despite democracy’s current troubles, a predominantly democratic world. Their democratic surroundings engender feelings of insecurity in all three regimes. While all three depend ultimately on coercion to retain power, each feels the need for popular support and political legitimacy as well; and that need connects corruption to the threat of war. None of the three has the option of gaining legitimacy by governing in democratic fashion, for democracy would dislodge each of them from power. In the 20thcentury the governments of Russia and China claimed the right to rule on the basis of ideology: they were carrying out the precepts of Marxism-Leninism (and in China of Maoism as well). Their 21st-century successors, however, have abandoned communist ideology, either formally, as in Russia, or effectively, as China’s Communist Party has done. The Iranian regime does have an official ideology, resting on the Persian and Shia version of Islamic fundamentalism, but few Iranians outside the governing elite believe in it. The dictatorships of post-communist Russia and post-Maoist China have relied on economic growth to win such popularity as they enjoy. The formula for economic success in both cases, however—a rising price of oil for Russia, the combination of the large-scale movement of people from the countryside to the cities, high levels of government investment, especially in infrastructure, and ever-increasing exports for China—no longer yield the desired results. The Iranian economy has performed poorly since the founding of the Islamic Republic, which enhances the public’s discontent with the mullahs. Unable to use democracy, ideology, or economic growth, the governments of Russia, China, and Iran have turned to aggressive nationalism to bolster their positions at home. The aim of generating public support is not the only reason for their foreign policies but it is, in each case, an important one. To those they govern the regimes have depicted their military activities beyond their borders as measures to assure their countries’ rightful positions of primacy in their respective regions. The rulers have also portrayed these policies as necessary responses to the nefarious efforts of jealous rivals—above all the United States—to weaken and subvert their countries. The tactic seems to have achieved some success in each case; and to the extent that the Russian, Chinese, and Iranian regimes believe that this is so, they have an incentive to launch further risky initiatives. This incentive thus creates the most dangerous ongoing threat to global order, and it is tied to corruption. 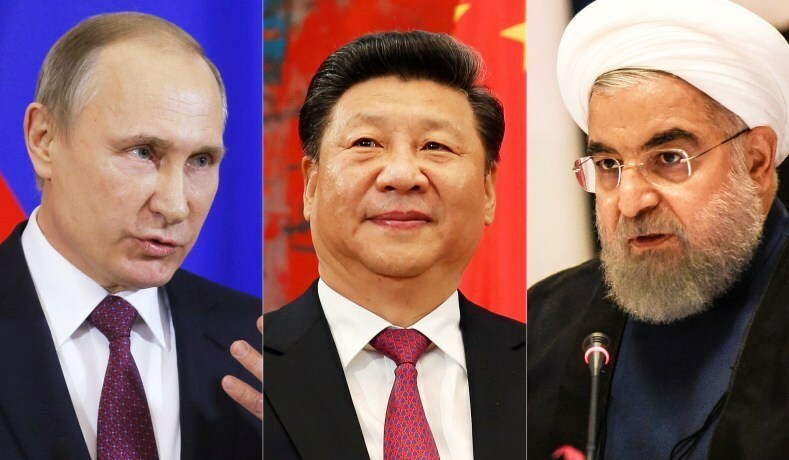 When Vladimir Putin, Xi Jinping, and the Iranian mullahs conduct their aggressive foreign policies they are, among other things, defending their regimes; and the regimes they are defending are corrupt. All three, in fact, practice grand corruption. Russia and China qualify as kleptocracies. That is, the large-scale theft of resources by the government and its friends is the essence, the defining activity, of the two regimes. It is the main business of the power-holders. The purpose of gaining public power is to accumulate private wealth. People join the Putin regime and the Chinese Communist Party, and seek to rise within their ranks, in order to get rich; and for the most part they do. In Iran, which remains nominally (and for some officials no doubt actually) devoted to the propagation of a particular variant of Islam, corruption is rampant. The rulers use their power to enrich themselves and their friends, as do the leaders of the regime’s powerful paramilitary organization, the Revolutionary Guard Corps. Grand corruption makes the diversion of public attention afforded by aggressive nationalism all the more important to the three regimes because corruption is deeply and almost universally unpopular. No one except its beneficiaries approves of it, and the beneficiaries do not dare declare their approval publicly: to the contrary, these kleptocratic regimes officially oppose corruption. The Soviet Union and Maoist China could justify their rule by their ideological missions. Their heirs cannot do that with what has taken ideology’s place: theft on a large scale. 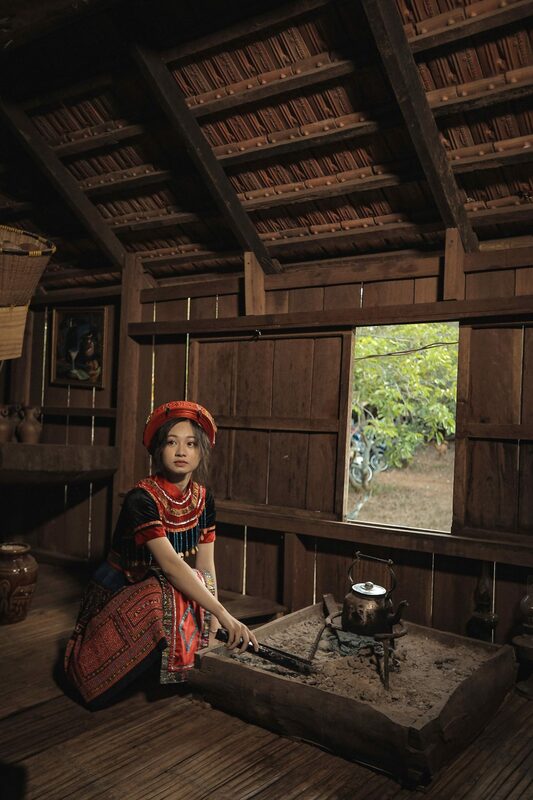 In the era of orthodox communism the Russian and Chinese people could be asked to sacrifice for, or at least to show forbearance toward, the regime for the sake of the radiant future it was building. (That is still the case, up to a point, for Iranians.) The current rulers, by contrast, cannot ask for sacrifice and forbearance so that the autocrats can become plutocrats as well, although that is their actual goal. The end of communism made many of the countries that discarded it freer, richer, and more peaceful. An end to the kleptocratic regimes that govern Russia China, and Iran would have similarly salutary consequences. Their demise would remove a powerful motive for political repression, would free resources for productive economic use, and, most important of all for the rest of the world, would eliminate a major cause of international aggression. The fall of communism provides, however, a cautionary lesson about the future of large-scale corruption. Just as other countries did not bring down the Soviet Union—that was the work of the Russian people and the other peoples of the communist empire—so it is not within the power of non-Russians and non-Chinese to dislodge the regimes that govern these continent-sized, nuclear-armed countries. While it is feasible to remove the mullahs from power by force in not-yet-nuclear-armed Iran, the world will be extremely reluctant to undertake such a campaign. Moreover, the end of the Russian, Chinese, and Iranian kleptocracies would not guarantee stable, well-governed, democratic successors. Communism in Russia gave way, after all, to Putin rather than to democracy. Still, the world can take steps to weaken the kleptocratic hold on power in these three countries and thereby increase the chances for a more peaceful world. The Cold-War battle against communism offers two useful precedents. The 1975 Helsinki Accords, signed by the Soviet Union and its communist satellites as well as the democratic countries of Western Europe and North America, committed the signatories to the protection of human rights and fundamental liberties. The communist authorities never intended to honor this promise and in fact they did not. But the Accords gave increased prominence and importance to the issue of rights and liberties—and the communist denial of them—and contributed to the peaceful movements that overthrew communism in Central and Eastern Europe in 1989. Similarly, greater global public attention to the problem of grand corruption would emphasize to the people of Russia, China, and Iran, who are its principal victims, that they are not alone in recognizing and objecting to it and that kleptocracy violates what the world considers to be an important global norm. The establishment of an International Anti-Corruption Court, proposed by the American federal judge Mark L. Wolf, could help to accomplish this by shining a brighter international spotlight on kleptocratic regimes. Also during the Cold War, although the democratic West did not attempt to defeat the Soviet Union militarily, it could and did take steps to avoid strengthening the communists, for example by restricting the transfer of sensitive and militarily useful technology. In the same spirit the West can and should adopt measures to reduce the assistance the democracies give to the kleptocracies. Russian and Chinese kleptocrats and their friends take as much of their ill-gotten gains as possible out of Russia and China, and place them in the West, often in expensive real estate in the United States and Great Britain. Stiffer laws to compel the disclosure of the origins of such financial transactions, and, where possible, to prevent the dirty money from being parked in the West, as suggested by the Washington D.C.-based Kleptocracy Initiative would penalize those who now benefit from grand corruption. An International Anti-Corruption Court and stricter laws governing the flow of money of corrupt origin in the West will not, in and of themselves, bring down the kleptocratic regimes of Russia, China, or Iran. Nor will all corruption, grand and especially petty, ever be eliminated everywhere—including in the relatively honest West: the impulse to profit by less-than-honest dealing, including the illicit use of state power, is present everywhere and won’t disappear. But it is possible to weaken regimes for which large-scale corruption is not merely an incidental feature but rather their reason for being; and doing so would make the world a far less dangerous place.Published on: March 25, 2019 Michael Mandelbaum is the Christian A. Herter Professor Emeritus of American Foreign Policy at The Johns Hopkins University School of Advanced International Studies, a Member of the Editorial Board of The American Interest, and the author of the new book The Rise and Fall of Peace on Earth (Oxford University Press) from which this essay is adapted.